Weight will increase if you consume more calories than the body burned. Calories are the energy dose in food. 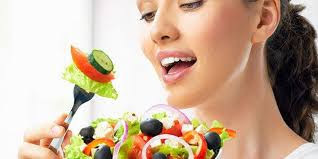 The key to healthy weight is to know how much calorie content in the food you consume so that it can be adjusted to the amount of energy burned by the body. The body needs energy from calories in food to be able to move. Generally the average woman needs about 1,600-2,400 kilocalories (kcal) per day, while the average man requires 2,000-3000 kcal. But the number of calories needed by each person varies depending on their height, weight and level of activity. Many factors can affect the number of calories that the body burns during physical activity. Among these are the age and type of activities performed. For example, cycling will burn more calories than walking casually. If not used as fuel, more calories will be stored in the body as fat. Carbohydrates, proteins, and fats are a type of calorie-containing nutrients that act as body fuel. Each gram of average fat contains 9 calories, while carbohydrates and protein have an average of 4 calories. While the calories in the food packaging can usually be seen from the nutrition label on the back. This data is useful to ensure that you do not consume excessive calories. The units used are generally kkal or kJ which stands for kilojoules. You can easily compare the levels of calories in several different products because the labels listed will generally include the calorie content contained per 100 ml or 100 grams. Try to check the nutrition label on every food you will consume. What should be wary of when the label is only written "so many calories in one portion". There is no standard measure that can be used as a benchmark in "one pack" or "one portion". Excessive calories mean the body weight exceeds the ideal size. Changes in diet and exercise can be a solution to the condition. Your weight is the result of balancing the number of calories. That is, if you consume more calories than you burn, then your weight will increase. If in a week you consume foods and drinks containing a total of 10,000 calories, then you also need to burn 10,000 calories. In this way, then there is no excess calories stored as fat in the body. Reduce the portion of food. Half a plate of fried rice contains more calories than a full plate. Using a smaller plate will make you encouraged to eat in smaller portions. Replace high-calorie foods with low-calorie ones. For example, you can replace chicken curry or fried chicken with boiled chicken spices or chicken stir-fried with vegetables. Avoid high-calorie and low-nutrient foods such as fried foods that contain lots of oil. Choose water or fresh tea instead of drinks containing lots of sugar or ice drinks bersantan. You can use online calorie counter apps like SuperTracker. In addition to adjusting your diet, you can also complete with a variety of sports for a maximum diet to get the healthy weight you want.